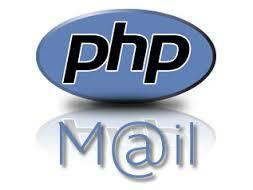 Fix your painfully slow PHP mail() function. Having moved all of my sites to the Excellent Digital Ocean hosting I noticed that on some sites the php mail function seemed to be painfully slow and in some cases threw up some error messages telling me that it had failed. Googling didn't turn up too much in the way of solutions, most information seemed to suggest that the sendmail or postfix packages be installed instead. Whilst sendmail and postfix are both great solutions, I did not really want to install a fully fledged mail server on my box as all email handling for my domains is handled on a separate server. It seemed like too much of a waste of resources so I decided to simply fix the issue with the php mail() function. After doing a bit of digging I discovered that the issue lay with the hosts file. The host info was incorrect. That's it! My email is now fixed and my websites can happily and easily send email messages without issue. There's no delays and my php code doesn't hang when trying to call the php mail() function. A pretty easy fix for a rather annoying issue.